AllNaturalMom: Eco Baby Fair 2014! I am so excited for this event! Why? Because Baby Fairs are awesome! Orlando's First Eco Baby Fair is going to be great! Come, enjoy the fun and check out some family friendly vendors. Free Mommy & Me Yoga, Free Music Class, Free Eco Art Class and can't forget about Free Samples and Giveaways! I will be there blogging about my experience of the event. Check back for more to be added! Follow @ecobabyfair on instagram for event updates! 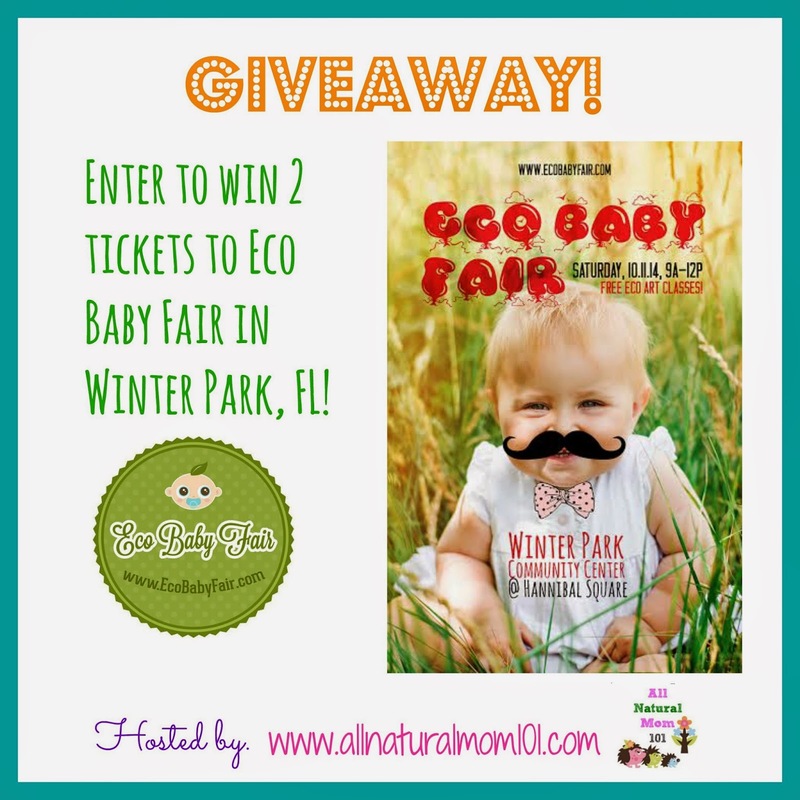 Enter to win 2 tickets to Eco Baby Fair! So that's one ticket for your family and another ticket to give to a friend! The giveaway will run from July 3rd-July 13th. Must be 18 or older to enter. Open to anyone in the US but remember this event will take place in Winter Park, FL. Enter using the Giveaway Tool below. I would love to attend the Eco Baby Fair with my little one! Gloria, email us your mailing address and we'll send you a ticket! :) orlando@ecobabyfair.com... or vendor info? I see that you're a photographer.